When we wonder about prayer, it should be reassuring to know that even a disciple of Jesus asked Him for instructions about how to pray. “Now it came to pass, as He was praying in a certain place, when He ceased, that one of His disciples said to Him, ‘Lord, teach us to pray, as John also taught his disciples’” (Luke 11:1). Simply stated, prayer is our means of communicating with God. As with any personal relationship, interaction with God matures as we spend more time with Him. As the Lord’s disciple indicated, prayer is something that does not come naturally to us—it is something that needs to be taught. The inspired Word of God provides the answers to some frequently asked questions about how to pray. Elijah and others in the Old Testament prayed to God. The apostle Paul made references to praying to God in both of the epistles he wrote to the Christians living in the pagan city of Corinth (1 Corinthians 11:13 and 2 Corinthians 13:7). 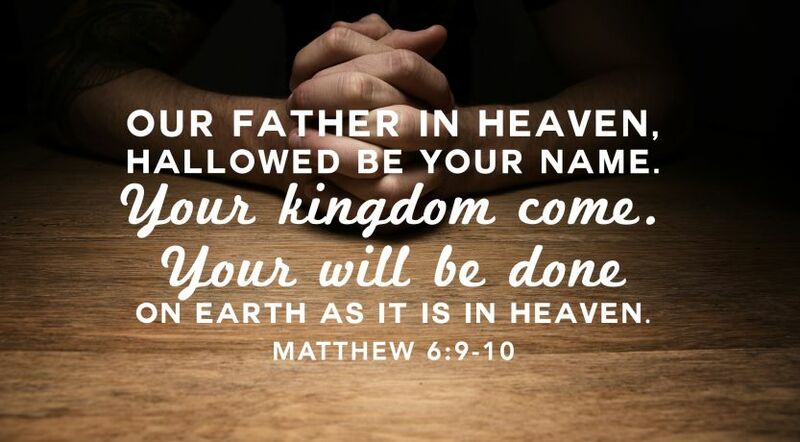 Jesus taught His disciples to pray to “our Father” (Matthew 6:6). Jesus Himself told the gang that arrested Him in the Garden of Gethsemane that He could pray to His Father right then and be rescued (Matthew 26:53). After His resurrection, Jesus told Mary Magdalene not to cling to Him because He had not yet ascended to heaven. He told her to tell the others that He was ascending to “My Father and your Father, and to My God and your God” (John 20:17). In Psalm 55:17 King David said he would pray in the “evening and morning and at noon.” Daniel also prayed three times a day (Daniel 6:10, 13). There are several references to praying in the middle of the afternoon—“at the ninth hour.” The point is that there is no wrong time for prayer, and that we should make the time regularly. Paul even said to pray “without ceasing”—meaning that prayer should be a regular and consistent part of our daily lives and not something we resort to only at difficult times (1 Thessalonians 5:17). How long should our prayers be? When Jesus selected His disciples, He spent the entire night praying. However, that was a special occasion. Jesus selected the 12 apostles and warned them not to pray like the hypocrites, heathen or scribes. “And when you pray, you shall not be like the hypocrites. For they love to pray standing in the synagogues and on the corners of the streets, that they may be seen by men. Assuredly, I say to you, they have their reward. But you, when you pray, go into your room, and when you have shut your door, pray to your Father who is in the secret place; and your Father who sees in secret will reward you openly. And when you pray, do not use vain repetitions as the heathen do” (Matthew 6:5-7). “Beware of the scribes, who desire to go around in long robes, love greetings in the marketplaces, the best seats in the synagogues, and the best places at feasts, who devour widows’ houses, and for a pretense make long prayers. These will receive greater condemnation” (Mark 12:38-40). The 18th chapter of 1 Kings relates the confrontation between Elijah and 450 prophets of Baal. After they had prepared their offering, the prophets of Baal prayed to their god all day long, from morning until the time of the evening sacrifice. They shouted and cut themselves trying to obtain an answer from Baal. Finally Elijah spoke these few words: “Lord God of Abraham, Isaac, and Israel, let it be known this day that You are God in Israel and I am Your servant, and that I have done all these things at Your word. Hear me, O Lord, hear me, that this people may know that You are the Lord God, and that You have turned their hearts back to You again” (1 Kings 18:36-37). Those words were all that were necessary for God to answer and reveal Himself powerfully to everyone present. Should our prayers be public or private? This depends on the circumstance. There are times, of course, when praying in public is appropriate, such as at a church service, wedding or a funeral. Jesus was often alone when He prayed (Matthew 14:23; Mark 1:35; Luke 4:42). Jesus said we should ask our Father for His Kingdom to come and for His will to be done—which includes praying for the work of His Church to be done. We are also told to ask for our daily needs, for forgiveness and for deliverance from “the evil one” (Satan). In the Sermon on the Mount, recorded in Matthew chapters 5, 6 and 7, Jesus instructs us to go into a “secret place” when we pray: “But you, when you pray, go into your room, and when you have shut your door, pray to your Father who is in the secret place; and your Father who sees in secret will reward you openly” (Matthew 6:6). Jesus said we should ask our Father for His Kingdom to come and for His will to be done—which includes praying for the work of His Church to be done. We are also told to ask for our daily needs, for forgiveness and for deliverance from “the evil one” (Satan) (Matthew 6:9-13). He also told us to pray for those who spitefully use us and persecute us (Matthew 5:44). In his epistle, James wrote that we should pray for one another (James 5:16). Paul expands that to include praying for all people: “Therefore I exhort first of all that supplications, prayers, intercessions, and giving of thanks be made for all men, for kings and all who are in authority, that we may lead a quiet and peaceable life in all godliness and reverence” (1 Timothy 2:1-2). Is there a prescribed posture to assume in prayer? The Bible gives examples of people praying while standing, kneeling, prostrating themselves on the ground and sitting. Others such as Abram, Moses, Aaron and King David prostrated themselves in prayer, but David also sat as he prayed (2 Samuel 7:18). The apostle Paul wrote to the young evangelist, Timothy, “I desire therefore that the men pray everywhere, lifting up holy hands, without wrath and doubting” (1 Timothy 2:8). King David exhorted the people to lift up their hands in the sanctuary (Psalm 134:2). It seems there are various respectful ways to approach God, depending on the circumstances, and you do not have to assume a particular position in order for you to be heard. From these scriptures, we see that God and Jesus want us to pray, and they have not left us ignorant about how to pray. It doesn’t matter as much when we pray or how long or even the position we’re in as we pray. What God desires is that we approach Him regularly with reverence and with humility.